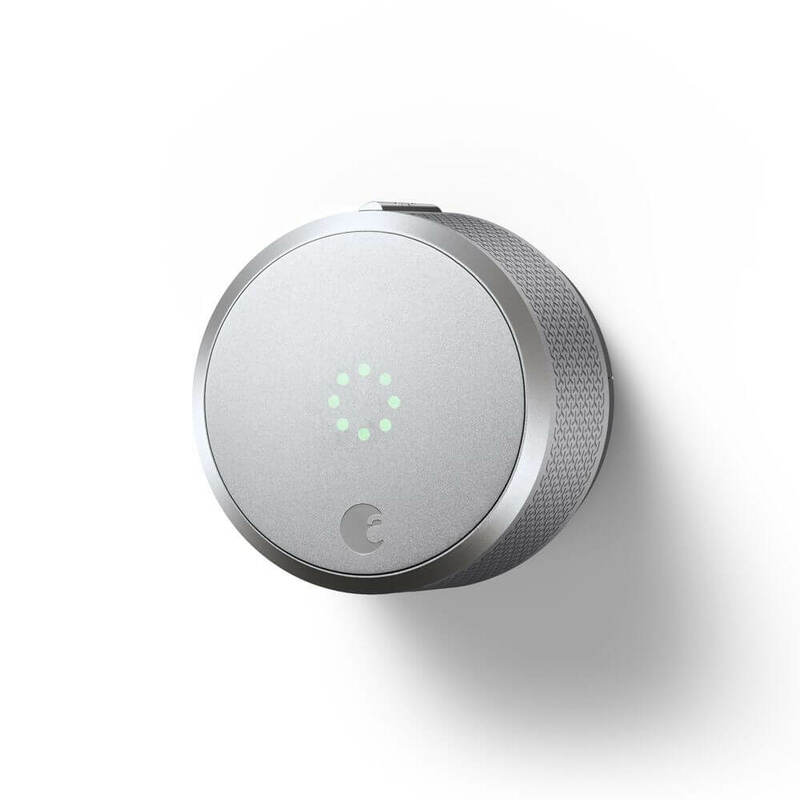 August recently announced several new smart locks, including a Gen 3 and Pro version of their original smart lock. Since researching the new options is confusing, we wanted to compare August vs August Smart Lock Pro. Specifically, this August lock comparison will look at the Gen 2, Gen 3, and Smart Lock Pro to make finding the differences easier for you. 1.6 Which August Lock Should I Buy? Current price on Amazon. Current price on Amazon. Current price on Amazon. To really understand the upgrades with the new August Gen 3 and Smart Lock Pro, it’s important to compare both with the older Gen 2 version. All smart locks have a few features in common, as well as a few differences that set them apart. First, here are the key differences to know. This is a very popular version of the August door lock. Improving on the gen 1, this generation 2 version was the go-to August lock for years before the newer versions came out. It has quite a few smart home features at a lower price, but it does give up a few upgrades when stacked up as August vs August Smart Lock Pro. No DoorSense technology to tell you if the door is actually closed. This can be frustrating if someone leaves the door cracked and you lock it within the app thinking it’s secure, but it’s actually opened. HomeKit compatible. This allows you to get your lock working with Siri. Affordable option, but you may find gen 3 is cheaper depending on when you buy. August Connect WiFi Bridge sold separately. This requires an extra purchase for getting your locked connected to the internet and other smart home gadgets. No Z-Wave compatibility. This limits the smart home connectivity for August gen 2. No physical thumb turn on the lock. Lock or unlock by turning the outside of the lock. The most obvious difference with the upgraded August gen 3 is its design, which is long instead of round, and has an actual thumb turn. Overall, this lock adds several features to make it more user friendly, but it does sacrifice the homeKit support offered by its previous version. Has DoorSense. 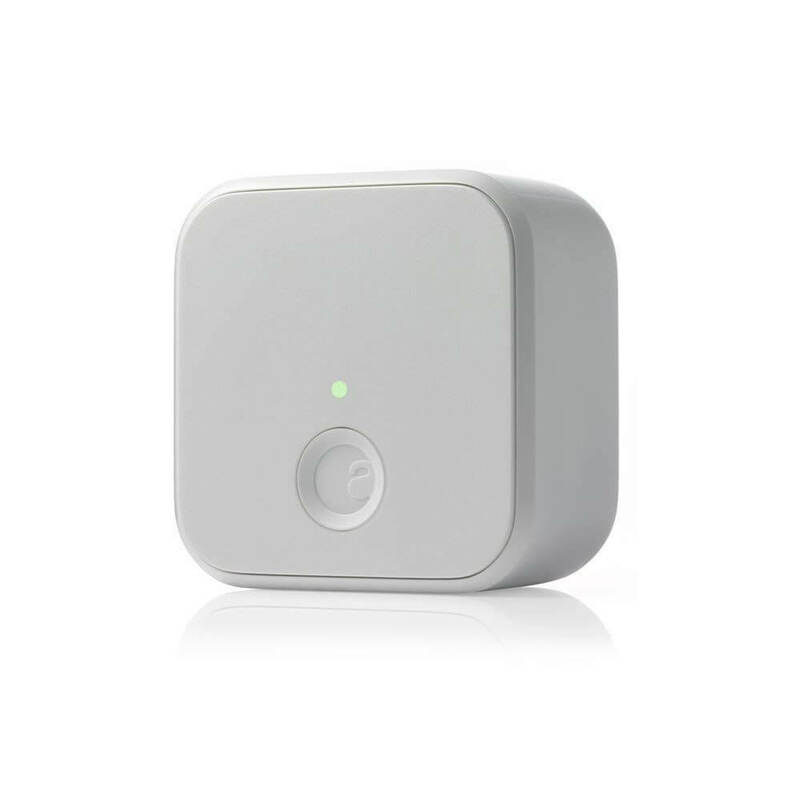 This small sensor goes on your doorframe to notify you if the door is actually shut. They are also beta testing a feature called Active Monitoring to receive notifications if the door is left open. No HomeKit support. If you want to connect your lock to Siri, buy one of the other August locks. 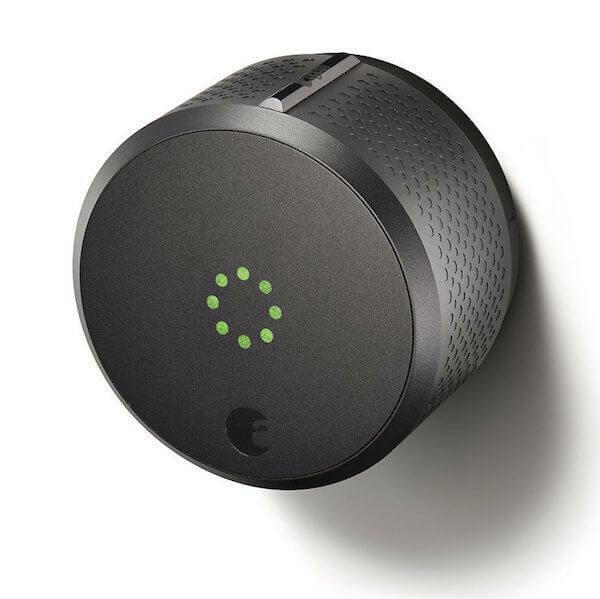 Least expensive August smart lock. August Connect WiFi Bridge sold separately. Physical thumb turn on the lock, which is more traditional looking and user-friendly. Longer battery life: estimated 3-6 months. Looks like a more traditional door lock, with a longer, updated design that many people would prefer. This is the most expensive (and impressive) lock in our August lock comparison. When comparing August vs August Smart Lock Pro, the biggest differences are Z-Wave and HomeKit compatibility. The lock has a bundle option so that you don’t have to purchase August Connect separately. You’ll pay more for the August Pro, but it comes with plenty of upgrades—check out CNET’s review for more details. DoorSense technology, with Active Monitoring coming soon. HomeKit compatible, allowing you to unlock your door with Siri. Most expensive August lock. Although, since the bridge is included with the bundle it might still make more sense financially. August Connect WiFi Bridge is included (as long as you purchase the August Smart Lock Pro + Connect bundle). This gives you additional functionality and features, without the added cost of buying it separately. Works with Z-Wave Plus, allowing you to integrate it into your smart home system if you are a Z-Wave user. If you already have a SmartThings or Wink hub, this also gives you the option of adding all of the functionality of the August Connect bridge using either hub instead of the bridge. This is a great option for smart home controls without spending more on the Bridge. Of course, since the bridge is included with the August Smart Lock Pro + Connect, you might just want to use the Bridge if you buy the bundle anyways. Now that we’ve established the differences between August vs August Smart Lock Pro, it’s important to break down the similarities. The August Gen 2, Gen 3, and Smart Lock Pro all include the following features. Note that the software and hardware features listed for this August lock comparison work straight from the box, not the additional features that come with the August Connect (see below for those features). App control using the same August Home iOS and Android apps. These have high ratings and the apps show you an activity log for tracking who is coming and going. This timeline shows both manual and remote locking and unlocking. Guest access functionality allows you to give your family and friends access within the app, creating virtual keys. Automatic locking is an optional feature for having the door automatically lock after a set amount of time. Your phone is your key. Open the app and press “unlock” to access your home, or have it simply auto-unlock when you walk up to the door. This uses the location of your phone to know when you’re walking up to the door and automatically unlock it. Easy installation. Since these attach to existing single-cylinder deadbolts, the locks are easy to install as they essentially require one or two screws. Retrofit with your existing locks. These smart locks are not replacements for your current locks. Instead, they install over your deadbolt on the interior of your door. After installation, August physically turns your lock when you control it in the app. This means you can keep your current keys, and from the outside of the home it isn’t obvious that you have a smart lock. Manually lock/unlock the door by turning August. How exactly you turn August depends on the lock since the August gen 3 has a thumb turn, but all of the locks allow you to physically lock and unlock it from the inside. No wiring required; each lock works on 4 AA batteries. Partnership with Liberty Mutual. August partners with Liberty Mutual for discounts on the lock itself, along with your home insurance. The features listed above can use Bluetooth if you want to keep your lock completely off of the internet. This will only let you control your lock within 30 feet. For true “smart” lock controls, you will want to consider buying the August Connect WiFi bridge. This is an extra piece of hardware, similar to the Nest Connect bridge required for Nest x Yale lock. The August Connect is the hardware you need to make the lock WiFi-enabled for additional functionality. There are a few options for implementing this bridge, or even skipping it altogether to get your lock connected to the internet. Purchase the bridge, which is available as a standalone product separately from the lock. This simply plugs into power and connects your doorbell to your internet without any wires. 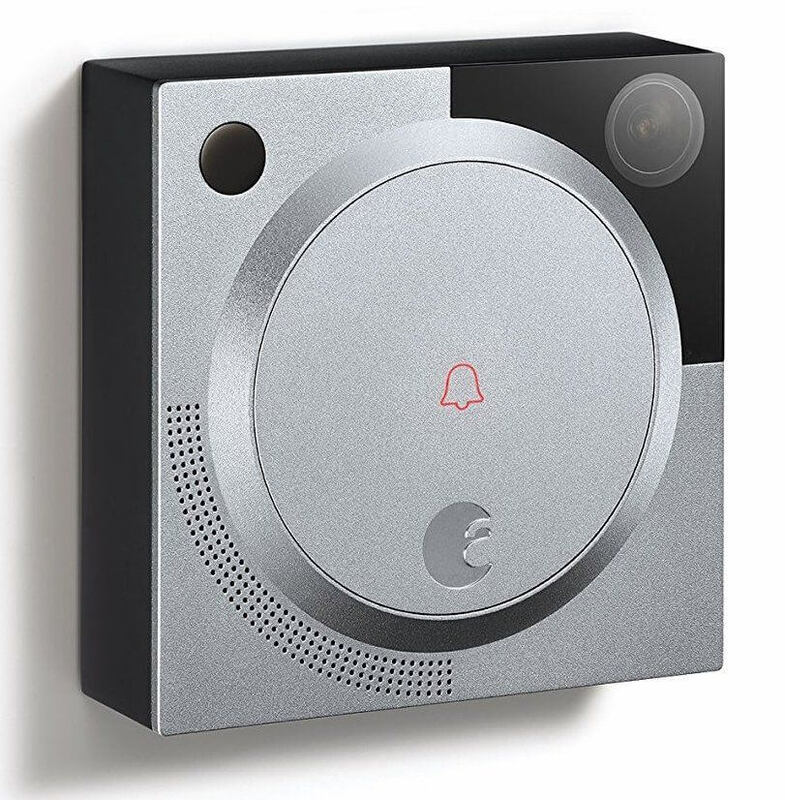 Purchase the August doorbell, which can function the same as an August Connect to get your lock working online and remotely. Purchase August Smart Lock Pro + Connect, which bundles the WiFi bridge with the Pro lock in one set. Everything you need to get your smart lock working online is included in the box. This is a big advantage when looking at August vs August Smart Lock Pro. 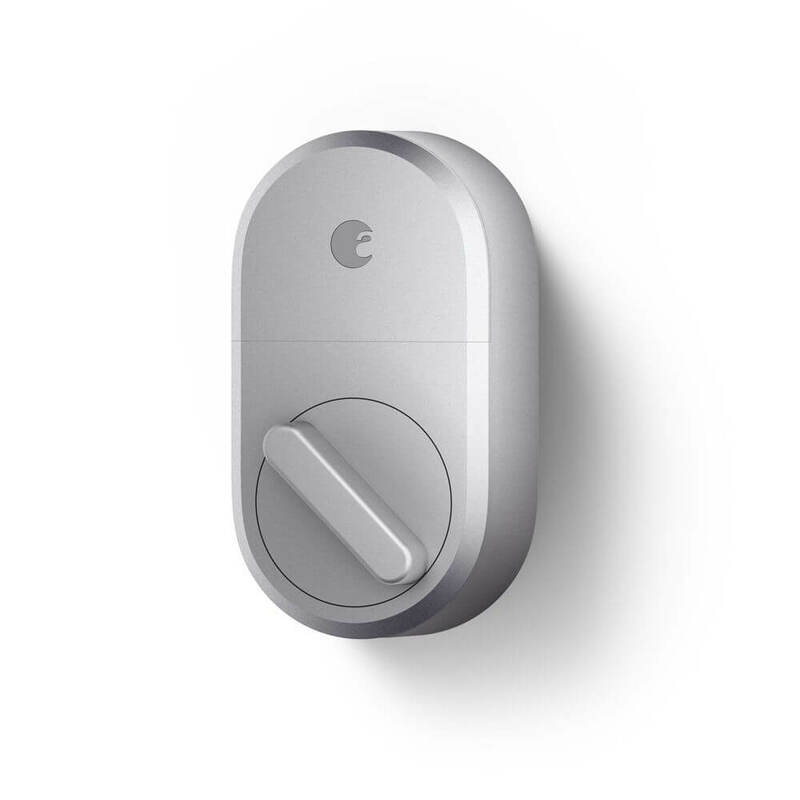 Purchase August Smart Lock Pro as a standalone lock without the bridge, and connect it to a Z-Wave hub like SmartThings or Wink. The benefit of this is that your Z-Wave hub will be compatible with so many other smart home devices (for example: see compatible SmartThings devices). This is much better than the August Connect, which basically serves one purpose. All of these options have the same result: your August lock will be connected to your internet, work remotely, and add all of the features below. No matter which August lock you purchase, if it has the Connect installed as well then it will add these features. 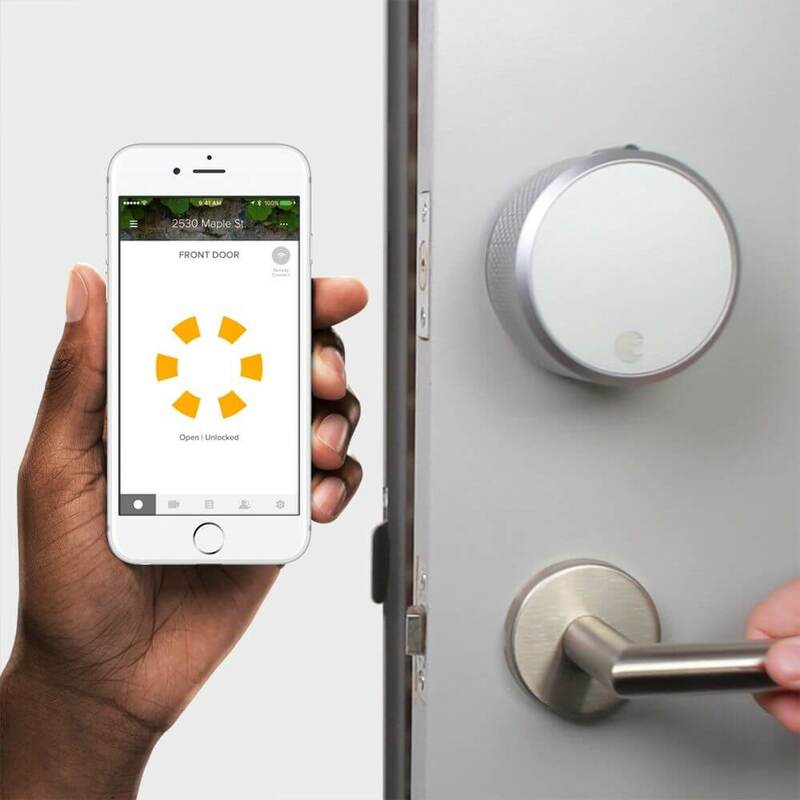 Remotely lock or unlock your door and give access to guests. You can also use the auto-unlock feature from further away since it isn’t dependent on Bluetooth. So when you’re a mile from home, you can set your door to unlock automatically. Alexa and Google Assistant compatibility. Lock or unlock your door using the voice assistant. Note that you have to say a password to unlock it with Alexa—this avoids someone breaking in by shouting voice commands through your window. Additional smart home compatibility. With August Connect, you can use the WiFi connection to get your doorbell working with IFTTT, Wink, SimpliSafe home security, Nest, Logitech, Stringify, and Honeywell. Works with August Smart Keypad and August Doorbell Cams. These are optional hardware that you can add to your August setup as long as you have the bridge installed. 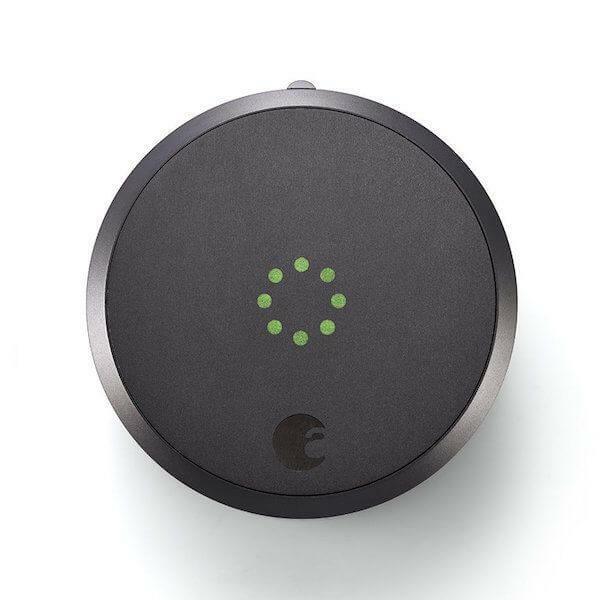 The keypad and doorbell both provide additional security and automation to your front door. Within the August Home app, you can easily see who’s at the door and unlock it remotely. The other option is to give guests a custom door code to unlock the door using the keypad. Without the keypad, you can still give guests access, but they will have to use their phone to unlock the door. Which August Lock Should I Buy? Confused yet? As you can see now that you’ve read through our August lock comparison, there are a few reasons you might want to buy the Gen 2, Gen 3, or Smart Lock Pro. It basically comes down to your system, budget, and preferences when deciding between August vs August Smart Lock Pro. Buy August Gen 2 if you want HomeKit control with Siri, at a lower price tag. Note that if you want to remotely unlock/lock, you will need to spend a little more to purchase August Connect. Of course, at that point you might just want to opt for the Pro + Connect bundle. Buy Gen 3 if you’re not going to use HomeKit and want the least expensive lock of the set. It’s also the only one with a thumb turn and a unique, thin design, which is a big plus since it’s more user-friendly. You won’t have to explain to guests how to use your lock. 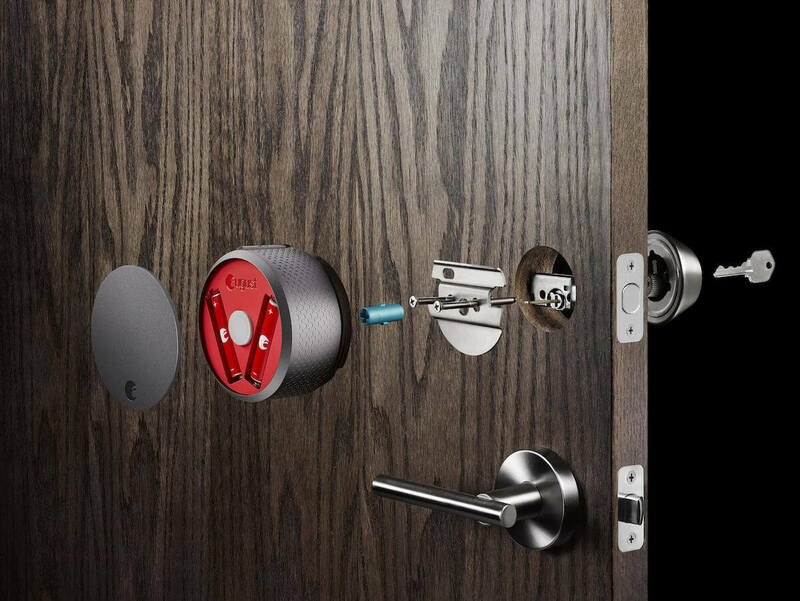 Both Gen 3 and Smart Lock Pro also have the new DoorSense technology to notify you if the door is actually shut, not just locked. This could be useful if you have kids or a door that doesn’t swing shut on its own. Buy Smart Lock Pro if you want the lock with the most features and compatibility. This lock also makes sense if you’re already planning on purchasing August Connect anyways since it’s included in the bundle at a reasonable price. 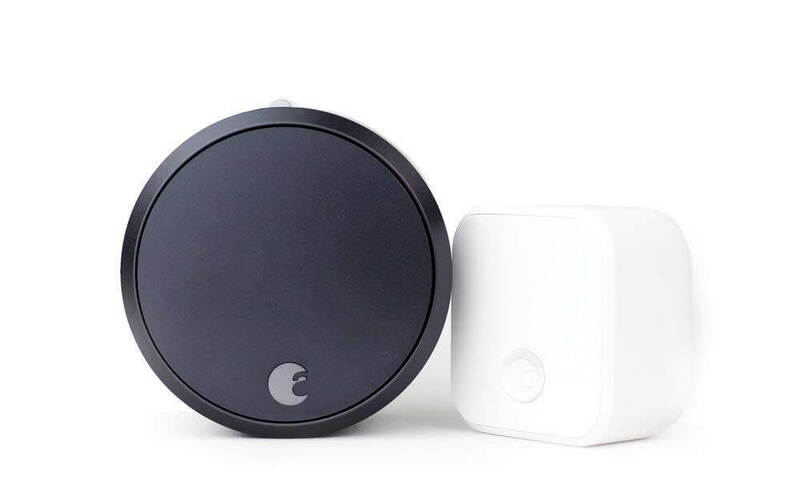 If you have other Z-Wave products, especially a SmartThings or Wink hub, then Smart Lock Pro will be the best choice since it’s compatible with your Z-Wave setup. For me, this August lock comparison a tough pick between August gen 3 vs August Pro. If my budget was limited, I’d probably go with August gen 3 since it has lots of functionality and I love its updated design with the thumb turn. Its price is also super competitive compared to other smart locks. 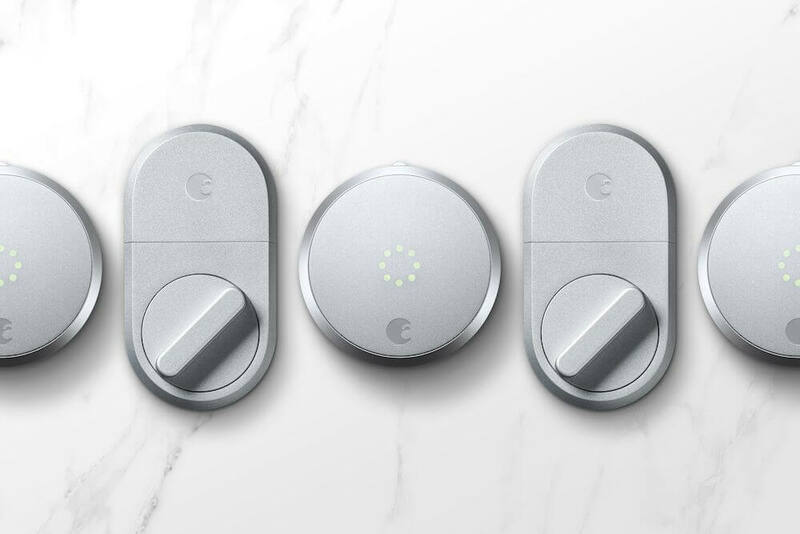 If I was feeling like a splurge or caught a nice sale, I would go for August Smart Lock Pro since I have Z-Wave devices throughout my home using SmartThings as our hub. This would be a great option since it doesn’t require the bridge, which I view as unnecessary added cost and hardware. See August Smart Lock Pro + Connect bundle on Amazon. I prefer the look and functionality of the gen 3 lock over the Smart Lock Pro. However, since the Pro has Z-Wave it’s definitely got the edge when it comes to smart home compatibility for August vs August Smart Lock Pro. You can build an entire smart home system on Z-Wave. Another Z-Wave smart lock you may want to research is Schlage Connect, which we’ve used on our front door for years. We also compared August with a few competitors in our previous articles, including August vs Kwikset Kevo and August vs Kwikset Premis vs Schlage. Those articles will help you determine if August is your best pick instead of competitor locks. Which smart lock works best for your home between August vs August Smart Lock Pro? Let us know your preference in the comments below!